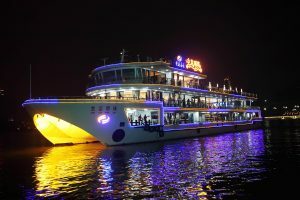 Ferry cruise is one of the must-do’s in Chongqing. So far, there are fowllowing routes available for public transportation in the downtown. Departs daily at 07:30, 08:00, 10:00, 11:00, 12:00, 14:00, 16:00, 17:00, 18:00. Departs daily at 07:35, 08:05, 10:05, 11:05, 12:05, 16:05, 17:05, 18:05. Departs daily at 08:00, 10:00, 14:00, 16：00. Departs daily at 08:05, 10:05, 14:05, 16:05. Departs daily from 10:00 to 18:00 , every one hour. The Chaotianmen → Ciqikou → Chaotianmen route will be open in August when the construction of Ciqikou Wharf is finished. It covers 28km and takes 2-2.5 hours. 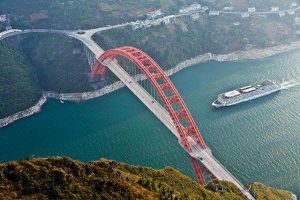 Passengers of this route can board at wharfs along the Jialing river such as Jiangbeizui, Hongyadong, Liujiatai, Niujiaotuo, Xiangguosi, Hualongqiao, Zhongdukou, etc.